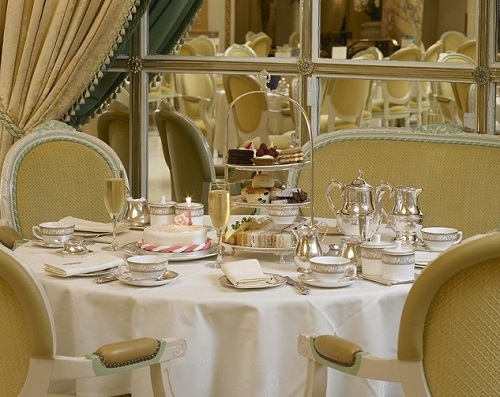 It would be safe to say that having Afternoon Tea is a tradition that has died out in many English homes, however certain London Hotels have made a virtue of keeping the largely Victorian tradition alive. Especially amongst the top end Hotels, Afternoon Teas have become very attractive from a business point of view, attracting customers not staying at the Hotel but presenting the Tea as an occasional treat for London visitors. With prices starting at £47 per person , this may seem to many an extravagant indulgence but a look at the menu illustrates you do get more than just tea and a scone. Chicken Breast Sandwich with Horseradish Cream on White Bread. Scottish Smoked Salmon with Lemon Butter on Rye Bread. CHUN MEE , MOROCCAN MINT. Remember you also get to dine in one of the top hotels in London, renown for its service and quality. However if you do consider Tea at the Ritz remember there are standards to upkeep therefore there is a dress code. 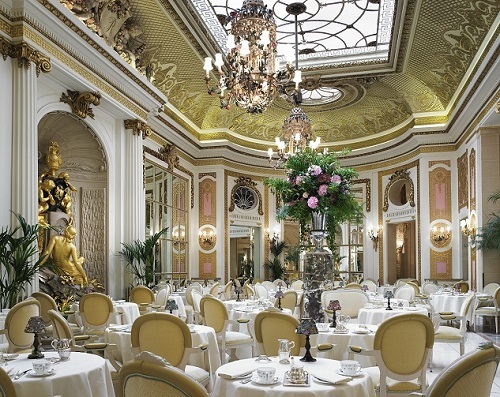 A formal dress code is upheld in The Palm Court and during lunch and dinner service in The Ritz Restaurant. In these areas gentlemen are required to wear a jacket and tie whilst jeans are not permitted. In all other areas of the Hotel, including The Rivoli Bar and during breakfast service in The Ritz Restaurant gentlemen are not required to wear a jacket and tie, and may also wear jeans. However, trainers and sportswear are not permitted in any public area of the Hotel. Perfect for a birthday celebration; it includes a special birthday cake delivered to your table whilst you dine with us. This special Celebration Afternoon Tea is perfect for a birthday or any celebration. It includes a special cake and a glass of Champagne delivered to your table. By londonvisitors2014 in London Afternoon Teas on May 10, 2014 .